If you need assistance with an application, have questions about your account, or would like help paying off your loan early, our professional, friendly Customer Service Agents and Loan Specialists are happy to help. If you have a general question, please take a moment to visit our FAQ page. Contact us via our secure web form with details about your question or concern. We will respond within one business day. 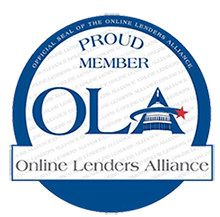 Use our online chat feature during regular business hours to receive real-time assistance from our Customer Service Agents and Loan Specialists. Use the address below to email us your contact information and details about your question or concern. We’ll respond within one business day. You can find answers to general questions about applying for, receiving and repaying a loan from Amplify Funding on our Frequently Asked Questions page. NISWI, LLC d/b/a Amplify Funding (“Amplify”), is a wholly owned subsidiary of LDF Holdings, LLC, a wholly owned subsidiary of the Lac du Flambeau Business Development Corporation, a wholly owned and operated economic arm and instrumentality of the Lac du Flambeau Band of Lake Superior Chippewa Indians (“Tribe”), a federally recognized Indian tribe. Amplify is organized and in good standing under the laws of the Tribe. Amplify is a duly licensed Financial Services Licensee of the Lac du Flambeau Tribal Financial Services Regulatory Authority, an independent regulatory body of the Tribe. All loan application decisions are made at Amplify’s office located at 597 Peace Pipe Road, 2nd Floor, Lac du Flambeau, Wisconsin 54538 on the Tribe’s reservation. If your loan application is approved by Amplify, your loan will be governed by Tribal law, applicable federal law, and the terms and conditions of your loan agreement. This is an expensive form of borrowing. Amplify loans are designed to assist you in meeting your short-term borrowing needs and are not intended to be a long term financial solution. The Annual Percentage Rate (“APR”) as applied to your loan will range from 720% to 795% depending on your payment schedule, pay frequency, loan term, and the amount of your loan. 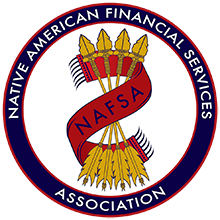 Late payments and non-payment may result in additional fees and collection activities as described in your loan agreement and as allowed by Tribal and applicable federal law. Amplify does not lend to residents of AR, CT, NY, PA**, VA, WI, and WV. Availability of installment loans are subject to change at any time at the sole discretion of Amplify. *Express Funding Disclaimer: Express Funding may be limited by funding time frames and cut-off times. Applications processed and approved before 6:00 p.m. CST Monday – Friday are typically funded on the next business day. If you require funds the current business day, you can request a wire transfer up to 3:00 p.m CST Monday – Friday. For loans processed on weekends or bank holidays, you will receive the wire transfer the next business day. Please verify with your bank as additional incoming wire fees may be assessed. ** Exception is returning customers only.